I was surfing around knitting sites and one place led to another, then to another. You may know what that's like. 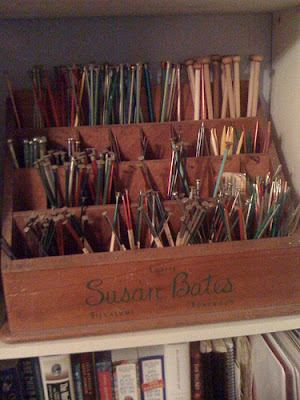 I came across this site and spotted the wooden box for sorting straight knitting needles. How cool is that? If anyone knows where I can find one like it or something similar, please let me know. Speaking of cool things, my daughter bought a double dish that I think would be a good gadget for knitters, too. 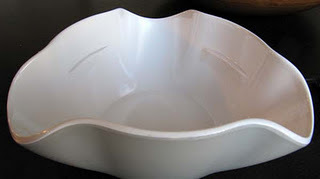 The bowl comes in two pieces and the idea is to put nuts, or something similar, in the top part and in the bowl underneath you put the discarded shells. I can imagine a knitter putting small objects: markers, scissors, pins, etc. in the top and then, after sewing in ends, put the yarn bits underneath until you have time to empty it. It would all be very tidy. I won't be buying a bowl. My scraps of yarn are under control and I'm happy with my system. 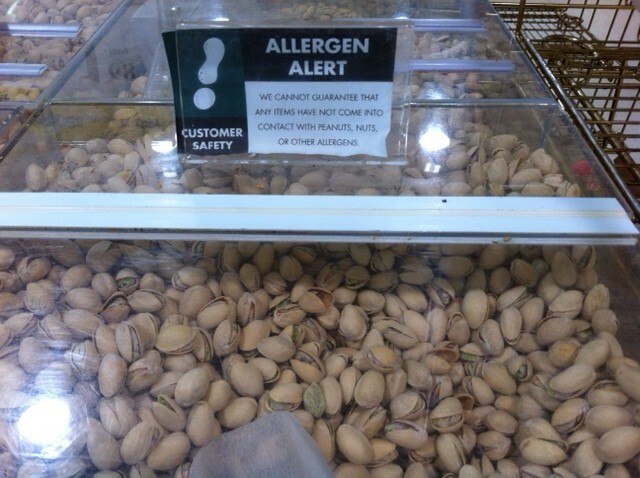 And while we're on the topic of nuts, I leave you with this picture that I took while at the grocery store. This is a huge bulk bin of pistachio nuts with an allergy alert note above it stating that they may have come in contact with nuts. Too funny! Remember...let me know if you've seen a wooden box for straight needles. Thanks! 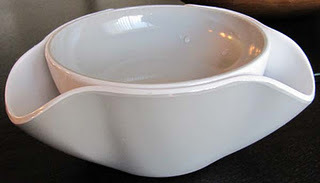 That is a cool bowl, never seen anything like it before, where did she get it?